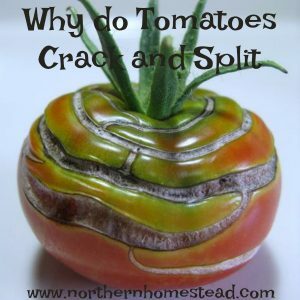 Growing tomatoes is challenging, fun, and rewarding all at the same time. 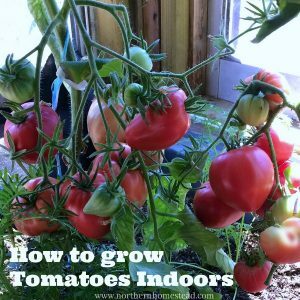 In fact, tomatoes are one of my favourite plants to grow. 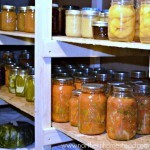 We love tomatoes fresh from the vine, in yummy recipes, and preserved for the winter. We grow many tomatoes – very, very many tomatoes. 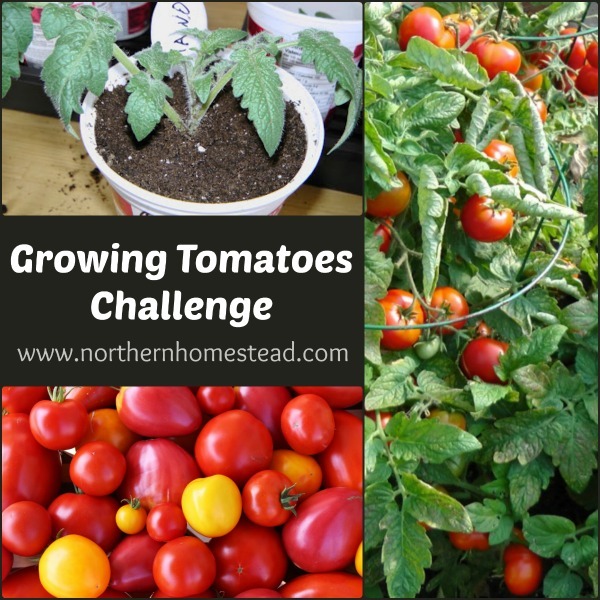 If you’ve always wanted to grow tomatoes successfully and harvest sun-ripe tomatoes in the summer, but have not been able to, let me challenge you with the ‘Growing Tomatoes Challenge’. 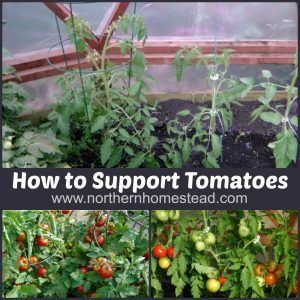 If you love growing tomatoes and know all about it, let me invite you to be part of this challenge to help fellow gardeners to grow the best tomatoes in 2017. 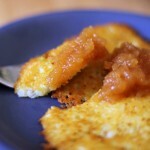 Let’s make this the year of tomatoes! 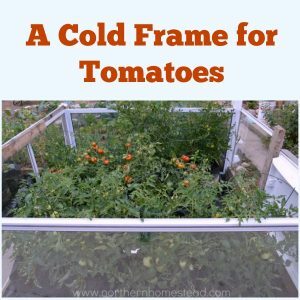 There are a few things that we need to prepare before we can start growing tomatoes. Please note, we do not start seedlings for the outdoor garden earlier than 6-8 weeks before the last frost day. For us that’s about 2 months away! I know it is hard to wait, and if you are anything like me, than you can’t wait. 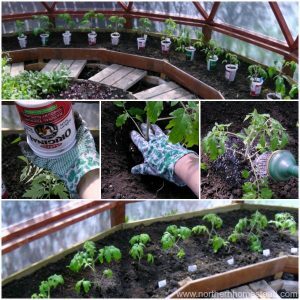 There is a way to grow tomatoes now too, we will cover that next week, but for now lets get ready to grow! 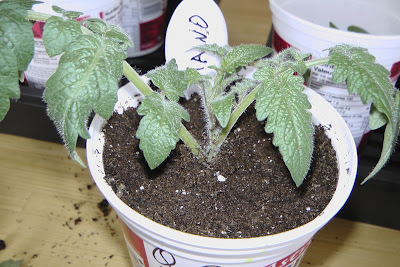 I love growing tomatoes from seeds, taking care of them from the very beginning. 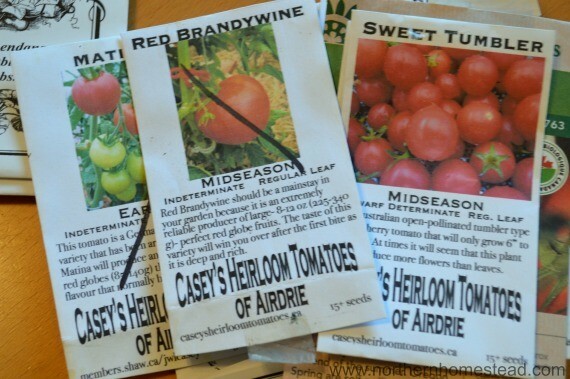 Plus we like to grow many different varieties that are hard to get as seedlings. Varieties matter, and they matter a lot. It actually might be the most important small thing that determines if you will have success or failure. 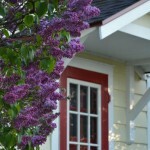 Look for and get varieties that are suited for your climate. For us in a cool climate we get early varieties that will set fruit even in cool weather conditions. 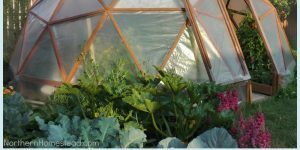 For our greenhouse we can get some classics, but even in there we do not grow any variety that needs a long growing season. It simply would not work. Location where to get the seeds matters too. If you can, find a seed supplier close to you. By seed supplier I don’t mean a retail store, but a grower. Someone who grows tomatoes, takes seeds and sells them. 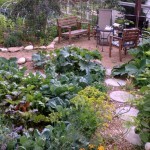 Plants adapt rather quickly to the environment they are in. It might be the same variety, but it will perform differently depending on where the seed plant has been grown. 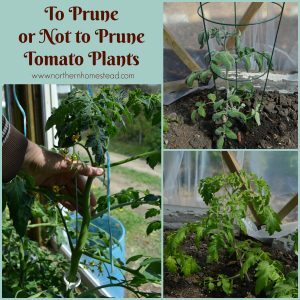 Also decide if you want to grow determinate (bush type) or indeterminate (wine type) tomatoes. For our outdoor garden in cool climate we stick with bush type tomatoes. 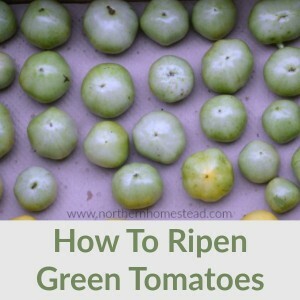 For best result get seeds from varieties and types of tomatoes, that are proven to grow well in your area, and suppliers located close to you. 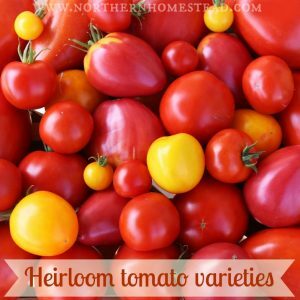 Here is a list of tomatoes varieties we have grown here, and some great seed suppliers. 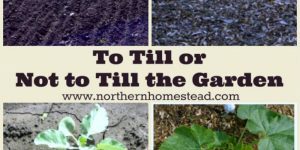 For seed starting you want a light potting soil with some compost mixed into it. It does not have to be anything special, just a good soil. 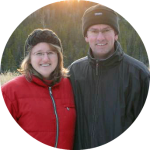 We use the sunshine brand and have had great success with it. Yes, that’s all we use, no fertilizers, no miracle grow, no nothing. I have had success with other brands too. Just make sure it is a loose, not heavy soil. As containers we use and recommend empty recycled yogurt containers. These are one quart containers that seem to have the perfect size, read more on why this work so well. Tomatoes need lots of light. 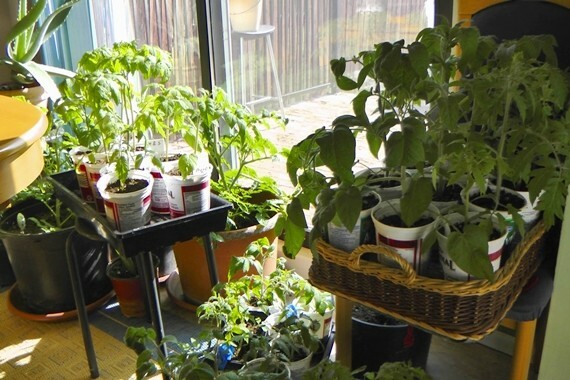 If you have a sunny window to grow your seedlings at, that’s great. If not, you would want to add a grow light. There are many grow lights to choose from. We use 54W high output T5 fluorescent lights with a bulb life of 20,000 hours in addition to a sunny window. 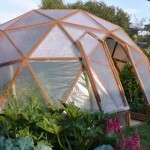 This is a small investment for many years of healthy seedlings. Reflectors to improve light efficiency are helpful, too. 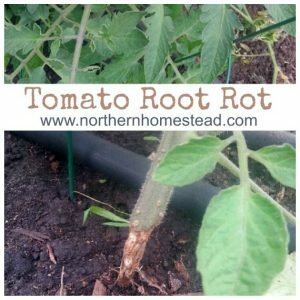 These are the essentials to get ready for the growing tomatoes challenge. Most of the conversation will be taking place over on our Facebook page. 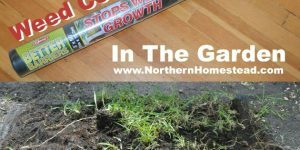 So head over there and join us as we “Get Growing”! Tag some friends to join you in the challenge! 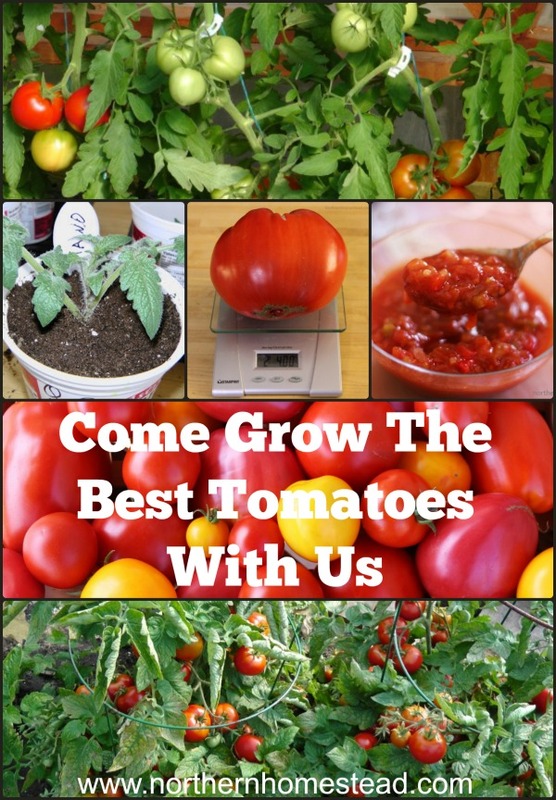 Let’s make this the year of the greatest tomatoes! 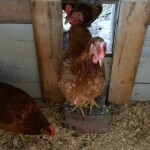 We invite you to subscribe to Northern Homestead and follow us on Facebook and Pinterest for the latest updates. 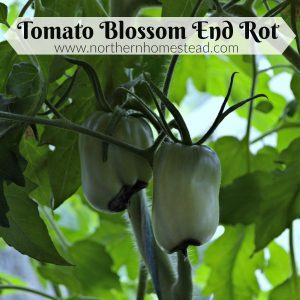 Thank you Emily, hope the tomatoes grow well for you and your kids enjoy it.